My KP-2500 charger gave up the ghost in sparking loud crackpop sound. The only physical thing I found was the resistor in the 2nd picture was detached at the bottom. I have 2 mean wells coming so I thought I would take this apart and see if I can troubleshoot it with some electricians help. I have no schematics of course. Are there any tests I can do myself? Any thoughts of primary failure component? 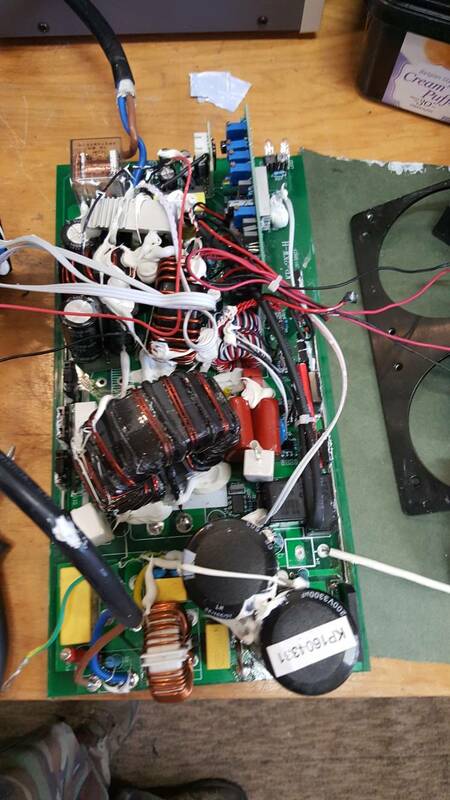 can you resolder it to the board? Yes resolder that. Test it first. Next step is checking the line side. 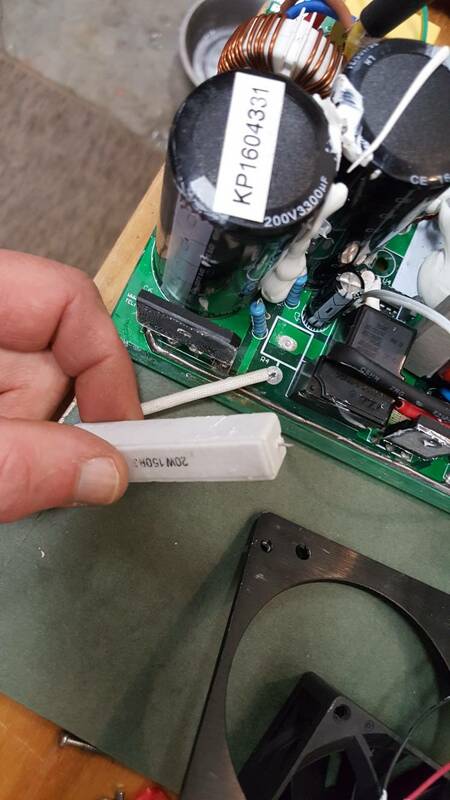 See if you have a couple hundred volts on the buss capacitors. Most common catastrophic failure is fets or igbt. If any are zero ohms ,in circuit, or blown open you can assume they are bad. Can you test igbt or mosfets while they are still on the board? When you solder it back, make sure to glue it in place so it doesn't vibrate and fatigue the lead and break off again.